/ News / Cortec Corporation Awarded 63rd Patent in 40 Years of Business! Cortec Corporation Awarded 63rd Patent in 40 Years of Business! Cortec® Corporation is pleased to announce the formal patenting of its CorroLogic Filler! US Patent #9,518,328 was granted to Cortec Corporation on December 13, 2016, in recognition of the novelty of CorroLogic VpCI Filler. This is the 63rd patent that has been awarded to Cortec Corporation since its founding almost 40 years ago in late 1977. It is yet another example of the innovative solutions Cortec creates to fit the specific needs of its customers. 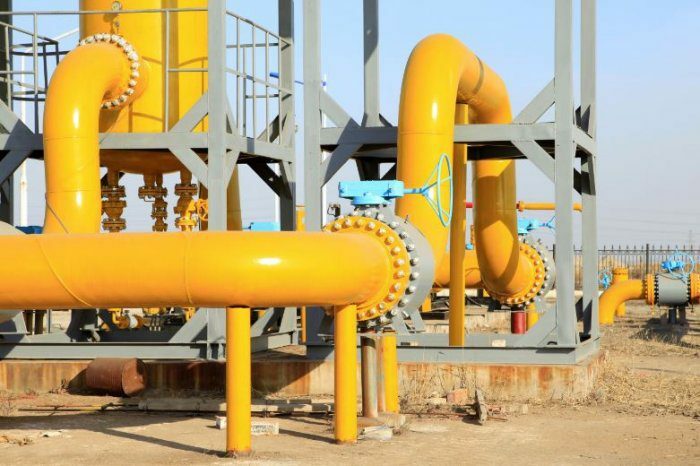 CorroLogic® VpCI® Filler was designed at the request of a North American pipeline corrosion engineering group looking for a product that would protect annular void spaces between pipelines and their casings. In response, Cortec Corporation researched and developed a two part VpCI ® Filler product that, when mixed and pumped into structural void space, turns into a gel product that fills and protects the space from corrosion long-term using Cortec’s Vapor phase Corrosion Inhibiting Technology. The filler also provides resistance to bacterial corrosion and prevents infiltration of air and water inside the filled structures. CorroLogic® VpCI® Filler is made of biodegradable materials and is non-toxic, nonflammable, and nitrite- and phosphate-free. 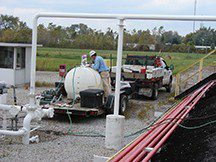 CorroLogic® VpCI® Filler complies with NACE Standard SP0208-2008, from Classes of Rust Preventatives referenced in Mothballing Manual, and meets requirements of NACE SP0200-2014 Standard Practice: Steel Cased Pipeline Practices.